With children of today being more tech-savvy than their previous generations; many children are less inclined to do more physical activities or exercises. While physical exercise is imperative for physical health, there are less empty space or playgrounds for children to play the same way the previous generations do. Children often find their entertainment electronically; through digital contents and platforms which might exacerbate the obesity issue rather than mitigate it. However, by using content and technology, shouldn’t it be possible to leverage their bad habits to turn them into good habits? As children are often more entertained through their mobile devices than in physical activities, sometimes it can be difficult to divert their attention or give them the motivation to exercise. Luckily, many children are still interested in superheroes and being superheroes. This tendency was used by one of the international exhibitors of InnoVEX 2018, Team8 to develop smart watches that allow children to play as superheroes while doing physical exercises and at the same time functions as a monitoring tool for the parents. This solution encourages more children to be more physically active without using coercion or negative reinforcement. Creating a healthy lifestyle by leveraging content that the users already enjoy not only creates a good experience, but also a longer-lasting effect. Many video game creators have tried to incorporate physical exercise into their products with varying degrees of success. Unfortunately, there are users who feel that the exercise portion exists without a good reason and this will lower the adoption rate. 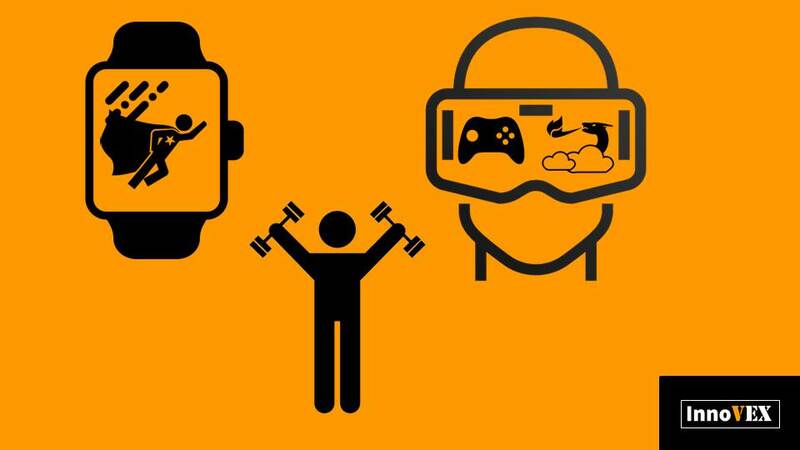 Perhaps VR can contribute further to helping people exercise by further immersing the user in the digital world. By adding a certain level of distraction, users can exercise for longer and will lessen the “burden” of exercise. This is why the product by Oh!WHATif; an InnoVEX 2018 exhibitor might be interesting to try. Using movements to control the game will contribute to exercise, especially if the game is fast paced. It will encourage users to return again and continue using the product. Rather than doing 30 minutes of exercise, more people would most likely enjoy spending 60 minutes playing as a dragon; even if playing it also means having to work out. InnoVEX 2019 is Coming Soon! InnoVEX 2019 is just around the corner and we can't wait to host our startups. This year, the venue will be in TWTC Hall 1; join us from May 29 to 31 for 3 days of innovation and technology. See you there!